ABV 4.1% from Dublin, Ireland. An initial malt and carmel flavor, Guinness Draught finishes with a dry roasted bitterness. 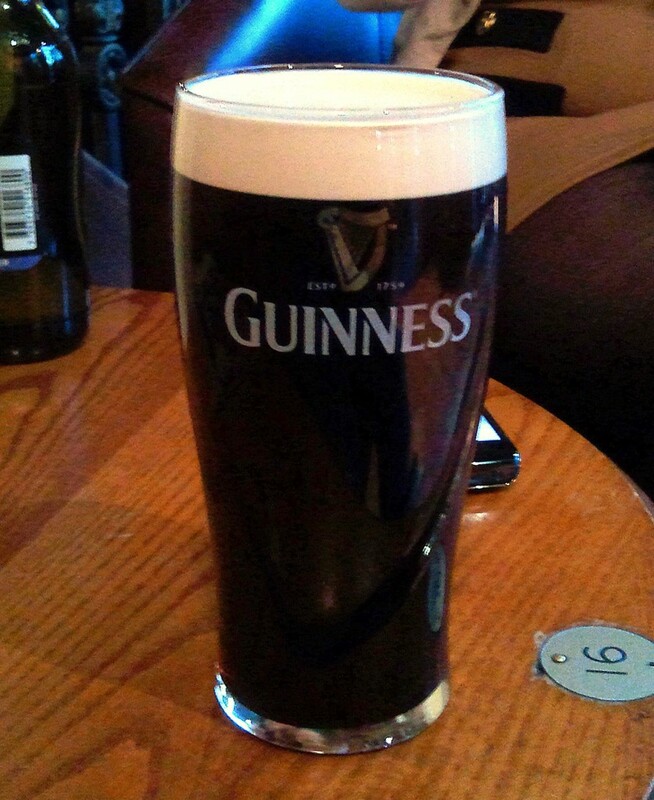 A unique mix of nitrogen and carbon dioxide helps create Guinness Draught liquid swirl that tumbles, surges, and gradually separates into a black body and smooth creamy head. The rise and fall of our bubbles has perplexed PhD physicists. Adorned since 1759, it’s the powerful surge and settle that gives Guinness Draught beer its uniqueness. Lovingly poured around the world, Guinness Draught is one of the best-selling imported beers in the USA. Guinness is creamy and smooth with a taste of coffee, dark malts, and hints of dark chocolate. The black bodied and smooth creamy head finishes with a dry roasted bitterness. Bottle- The Rocket Widget releases a jet of gas when bottle is opened and repeats every time it is tilted. The rocket widget refreshes the Guinness beer to create the surge. Designed to be consumed directly from the bottle. Can- The Widget is a half plastic chamber with a tiny hole that sits atop the Guinness Draught inside the sealed can. When opened the pressure inside the can drops. A jet of beer and nitrogen is forced out of the widget. At this point, the surge is born. It is designed to be served with the legendary two-part pour into a 16-oz Pint Glass. First, tilt the glass to 45 degrees and carefully pour until three quarters full. Then place the glass on the bar counter and leave to settle. Once the surge has settled, fill the glass to the brim and enjoy! Mix Guinness with Harp Lager for an authentic Half & Half or Smithwick’s for a Black & Tan! © 2019 Deer Park Irish Pub - All Rights Reserved - Drink craft beer and have fun at the best bar in Fort Wayne!